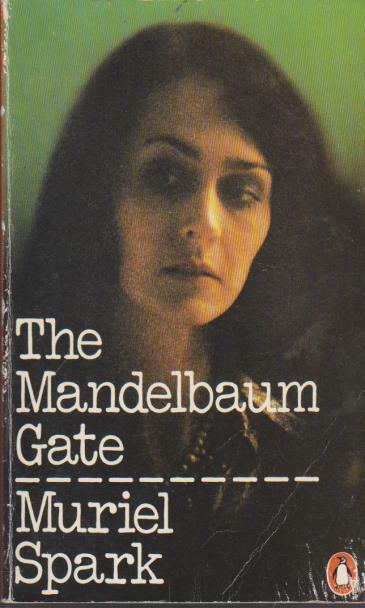 Well, Muriel Spark Reading Week is over, and it seems the only novel unread and unblogged (which may not be a word, but never mind) is The Mandelbaum Gate, which I did actually pick up at the beginning of the week and start reading, but I gave up because I just couldn’t get on with it. However, in the interests of fair play, I picked it up again last night and have persevered. I did get to the end, but only because I skipped quite large sections, and I can see why it has been languishing on the bookshelf for years, and why I’ve never managed to stick with it in the past – none of which is much of a recommendation. For a start, it is longer than Spark’s other work – a full-length novel – and her wonderful wit and spikiness is mostly missing. I think her style is best suited to short novellas where the action, such as it is, is very contained. Perhaps it’s difficult to sustain that kind of spare, tight writing over a longer work, or perhaps Spark just wanted to try something a little different. Whatever the reason, if I had read this without knowing who the author was, I would never have guessed it was by Muriel Spark, and it certainly wouldn’t be a good choice for first read. Anyway, here, as briefly as I can, is a synopsis. Freddy Hamilton, who works for the British Consulate in the Israeli section of Jerusalem, meets teacher Barbara Vaughan, a half-Jewish Catholic convert who wants to embark on a pilgrimage to visit Christian shrines in Jordan, despite the fact that her Jewish blood could put her in danger in Arab territory. Barbara disappears, and Freddy loses his memory, and no-one is who they seem to be. There are spies, lies and double dealings everywhere, and nothing can be taken at face value. In fact, duality and the nature of identity are themes running through the book. Jerusalem itself is a divided city; Barbara with her dual heritage of Jew and Gentile must decide her own identity, and many other characters must decide who they are, and where their loyalties lie. There are various side-plots, which didn’t really add much to the story, and a lot about religion and the nature of faith, which felt preachy – Spark has explored religious issues far more subtly elsewhere. I’ve read quite a number of her other novels and loved them, so this was a huge, huge disappointment. It all seemed a bit laboured, and I failed to engage with the characters or care about the plot. 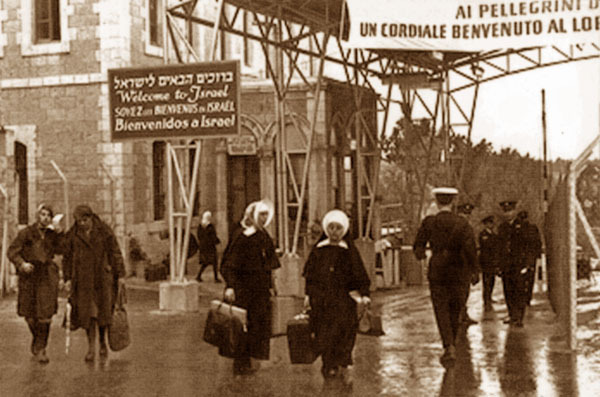 By the way, for those who don’t know (and I didn’t), the Mandelbaum Gate was the checkpoint between the Israeli and Jordanian sectors in Jerusalem, and was dismantled in 1967, two years after Spark’s novel was published. 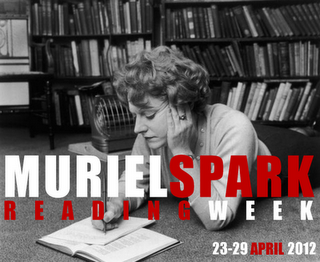 Muriel Spark Reading Week was organised by Simon at Stuck in a Book (http://stuck-in-a-book.blogspot.co.uk) and Harriet at Harriet Devine’s Blog (http://harrietdevine.typepad.com) . You can see a complete list of linked posts on their blogs.